Stay-dry Bibs are a must have for everyday use. They keep baby and clothes dry with a waterproof inner layer and two outer layers of soft, absorbent knitted terry. They are easy to take on and off with the adjustable hook-and-loop closure before and after meal time. 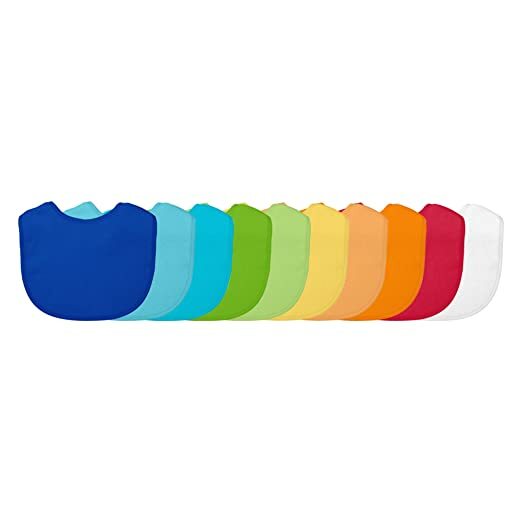 These bibs are practical for every day, and the variety of colors coordinate with any outfit.